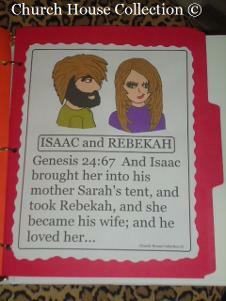 This is an Isaac and Rebekah lapbook craft for kids to do in Sunday school class or Children's Church. First you will need a colored folder. 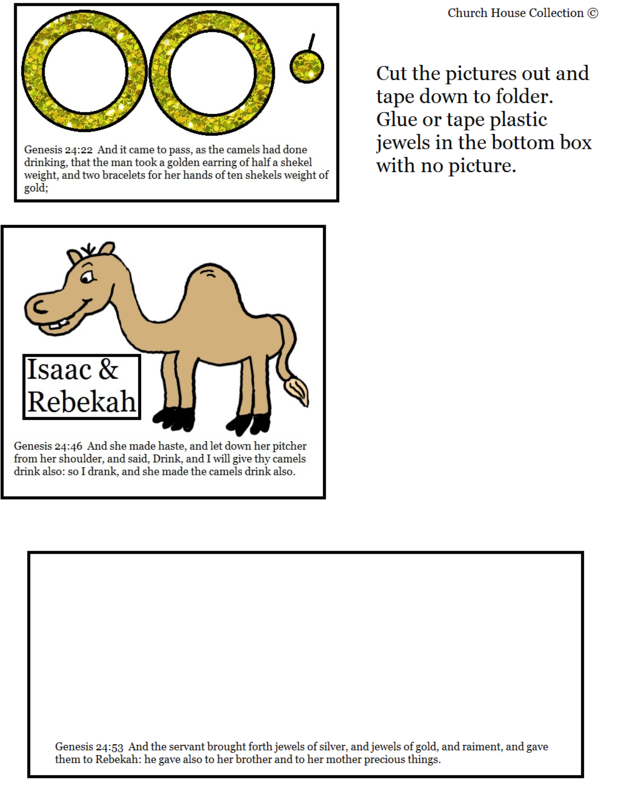 Print all four templates to make this folder. 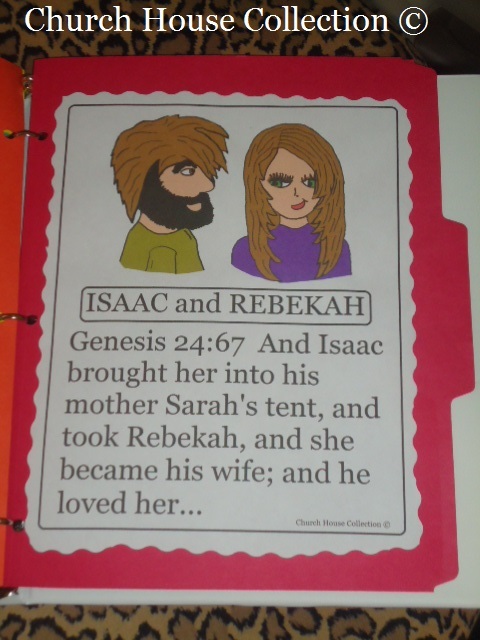 Using decorative cutting scissors cut the Issac and Rebekah picture out and tape down on the front. 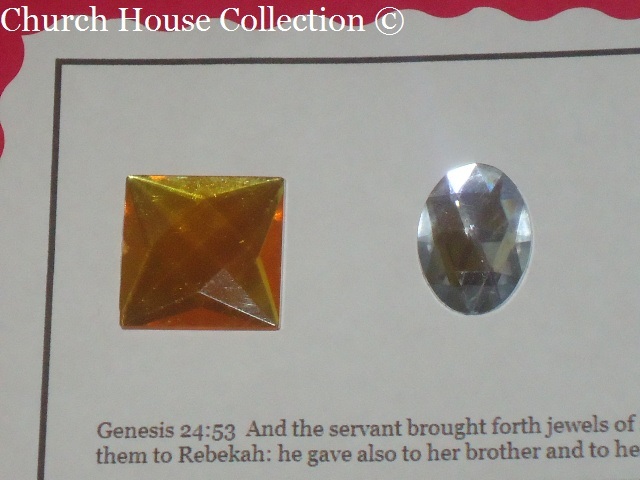 It has the scripture from Genesis 24:67 on it. Next open the folder up and do the inside. 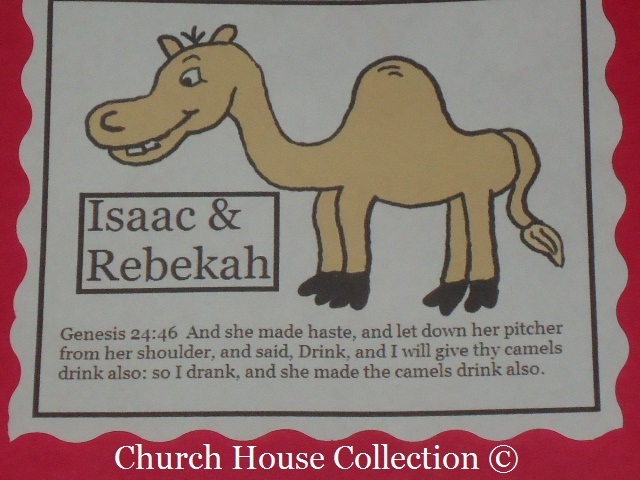 Cut the large camel out and the blue water hump out. 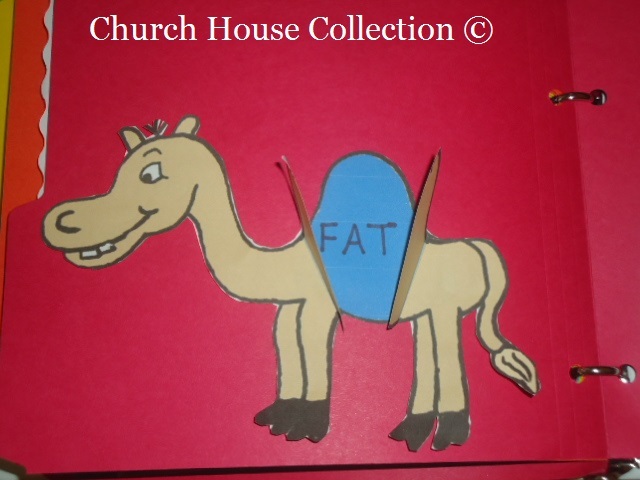 Tape the blue water hump part to the back of the camel. 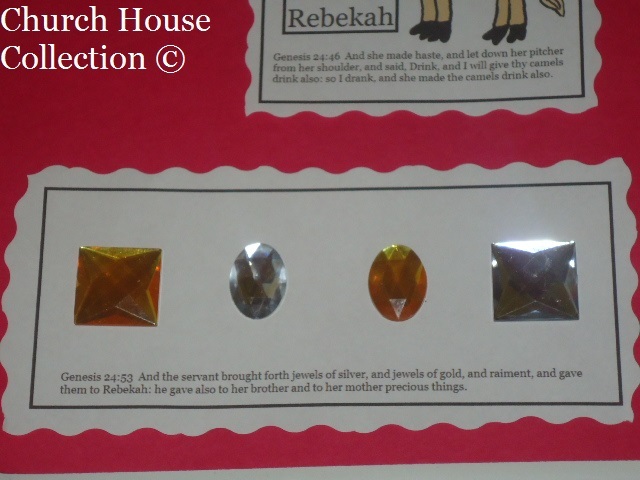 Make sure they cut a slit in the camel first and then it will open and close to show the blue water. Write the word, "FAT" on the inside. 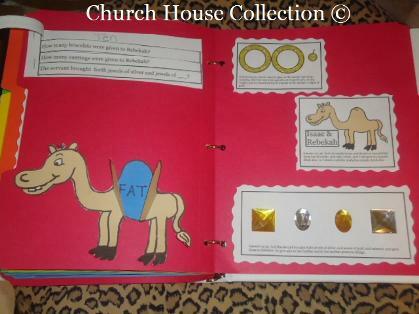 Camels actually carry fat in their humps. 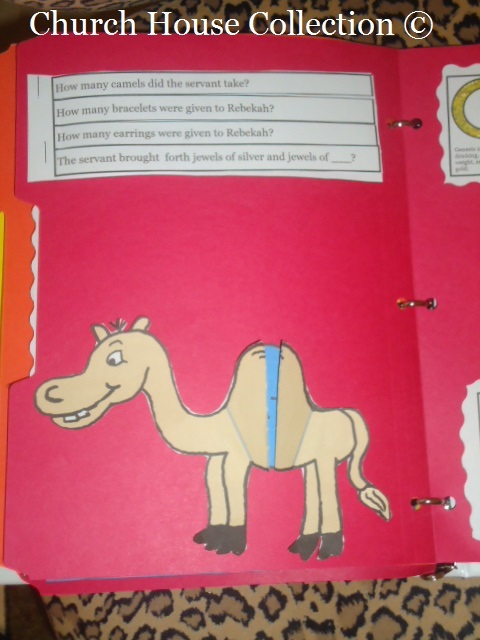 Tape the camel on the left side of the folder at the bottom. 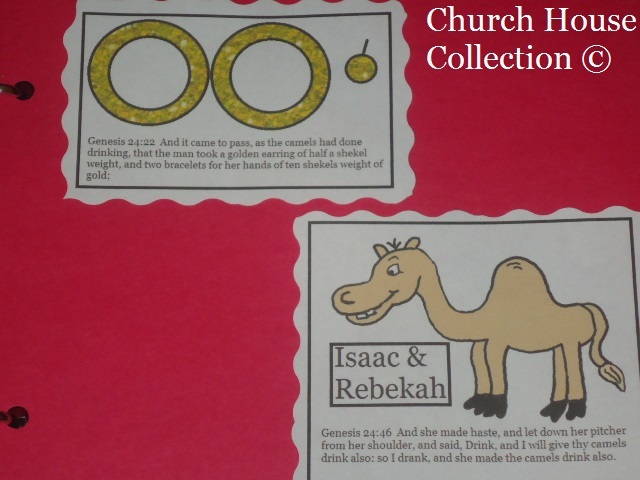 Directly above the camel you will need to have the kids cut the questions out. Just take the entire paper and fold in in half. 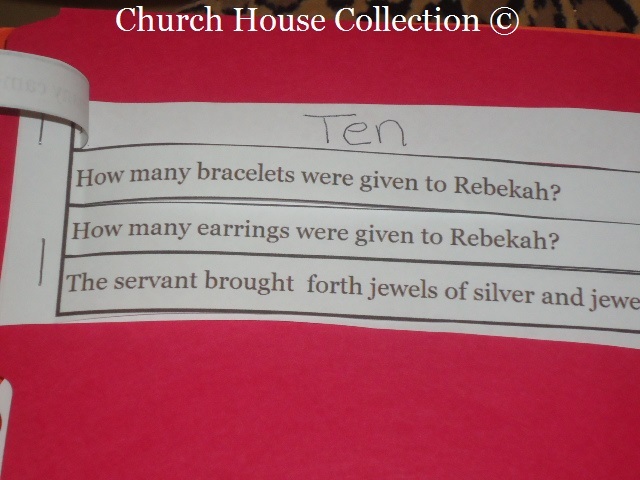 Then staple the paper in two spots next to the questions. Have them cut on the lines. Tape the entire paper down on the folder. 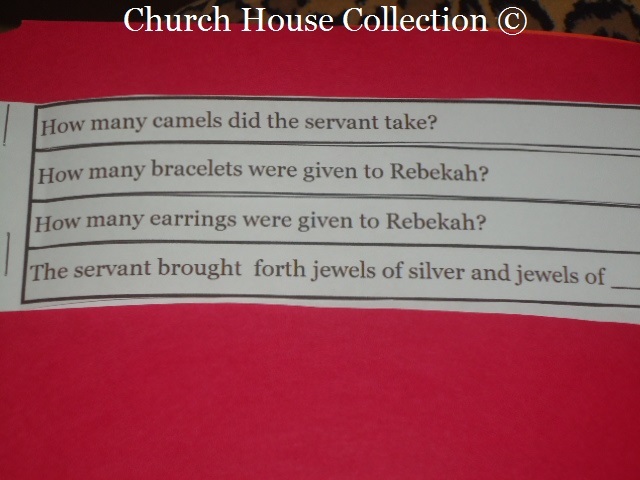 Let the kids write their answers on the second piece of paper when you lift it up. 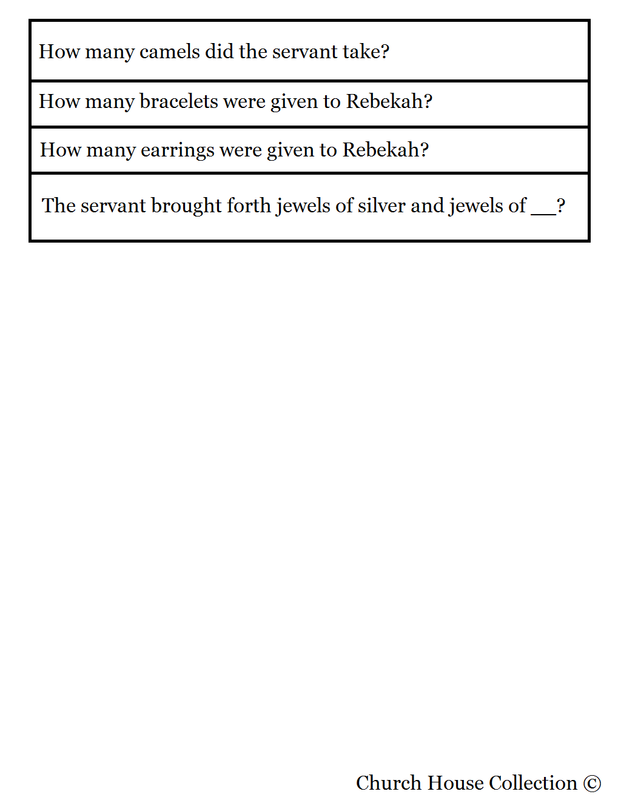 I have a printable template for the questions. You might need to help them a little to get this cut out right. 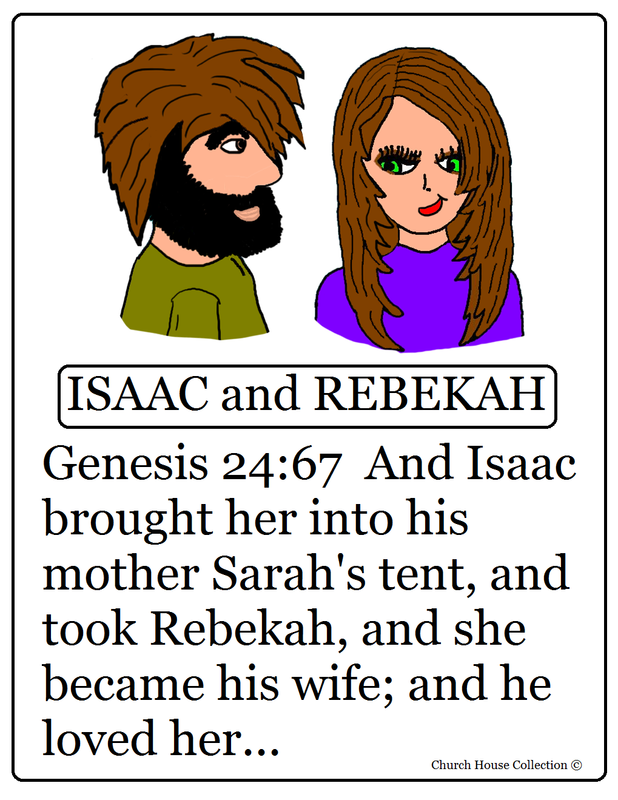 Tell them the bible story before you start all this so they can answer the questions. 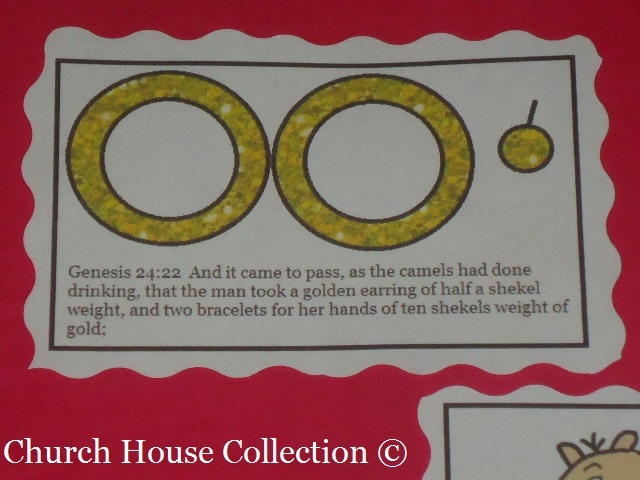 The answers are: 10 Camels, 2 Bracelets, 1 Earring, Jewels of Gold. Now for the right side of the folder. Cut the bracelets and earring out along with the small camel and the blank box. 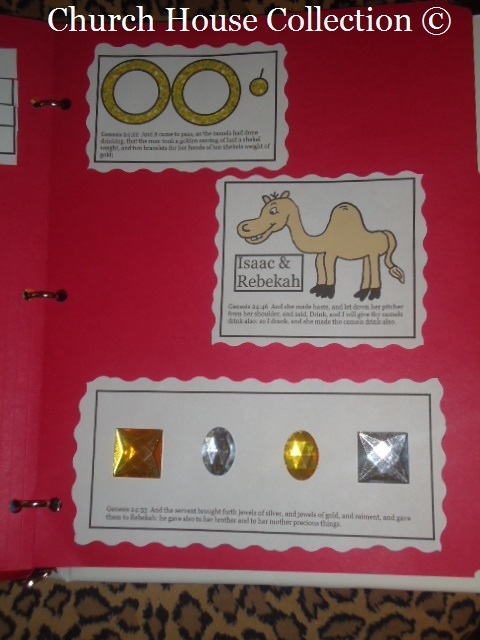 You will need to have the kids tape all this down on the folder and then have them add fake jewels (got mine from Oriental Trading) inside the blank box.